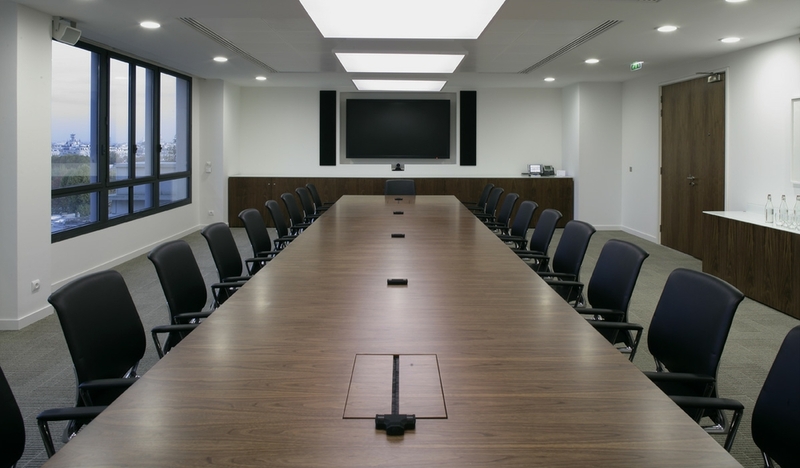 Whatever you need, with our comprehensive solutions that cover everything, from planning and design, to supply and installation- we can provide it. 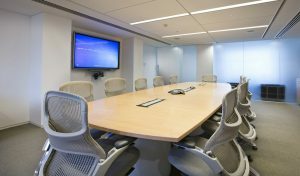 Your environment plays a critical role in setting the atmosphere at your workplace, and the boardroom is one of the most crucial areas of the whole corporate environment. 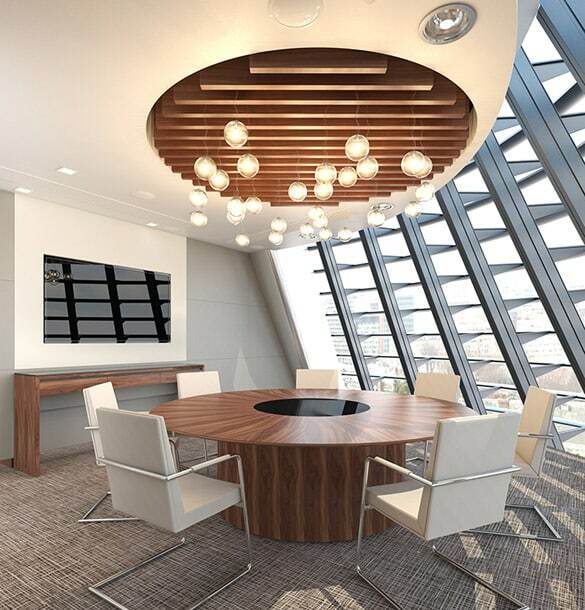 Getting the ambience of your boardroom just right will aid employee productivity, and boost workplace functionality, plus, research demonstrates it can improve the mood of your employees too. 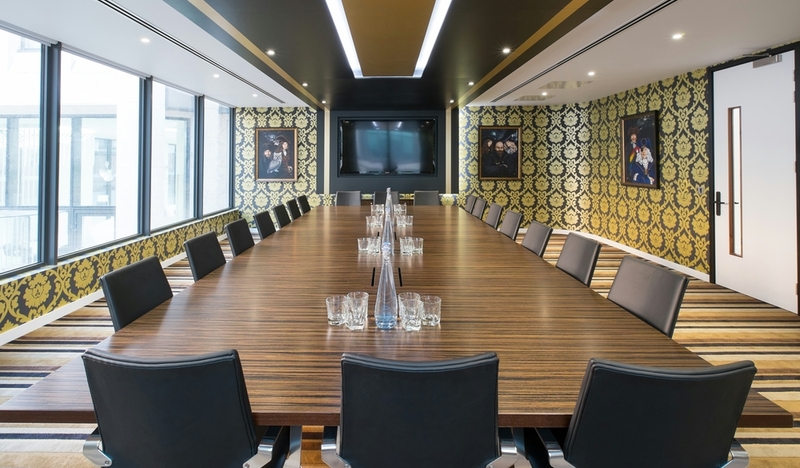 If you’re looking to create set the perfect tone in your boardroom – we can help. 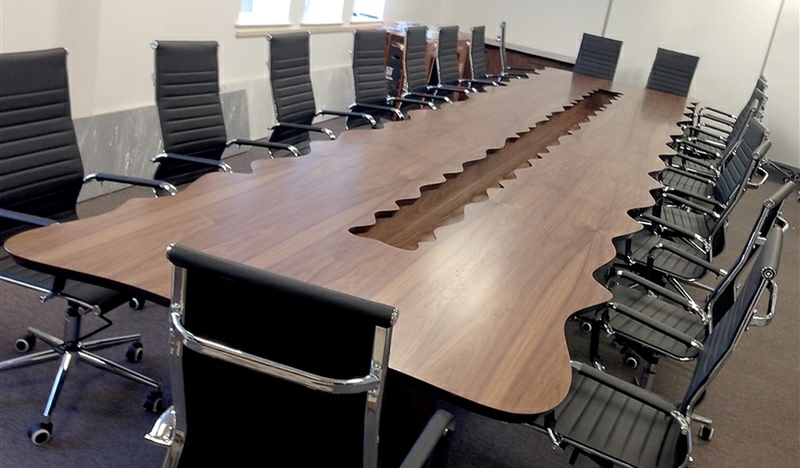 Using our 25 years of experience designing handmade, bespoke boardroom furniture, we will create you a beautiful, highly functional piece designed to suit your unique requirements. 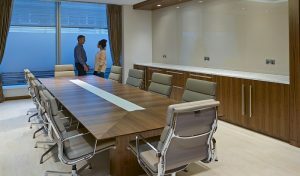 Our design experts will blend their knowledge of style, aesthetics, and current design trends, to work in harmony with our specialist joinery partners. 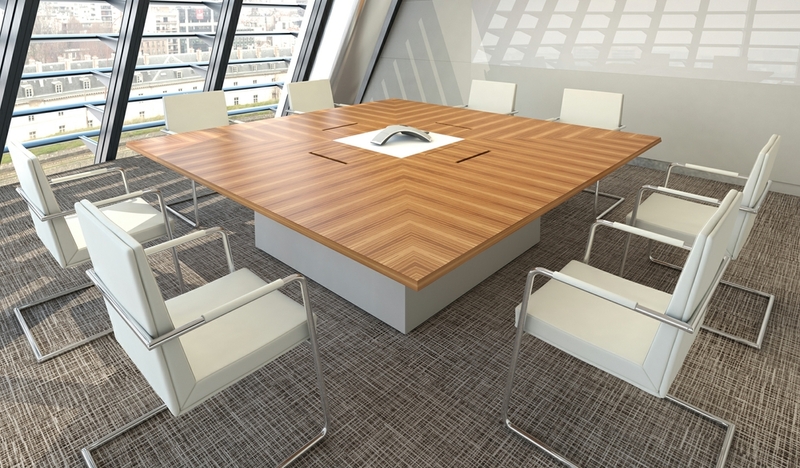 Select from a varied choice of options to customize your boardroom table to perfection, including our modular tables, and our handy fold and flip solutions. 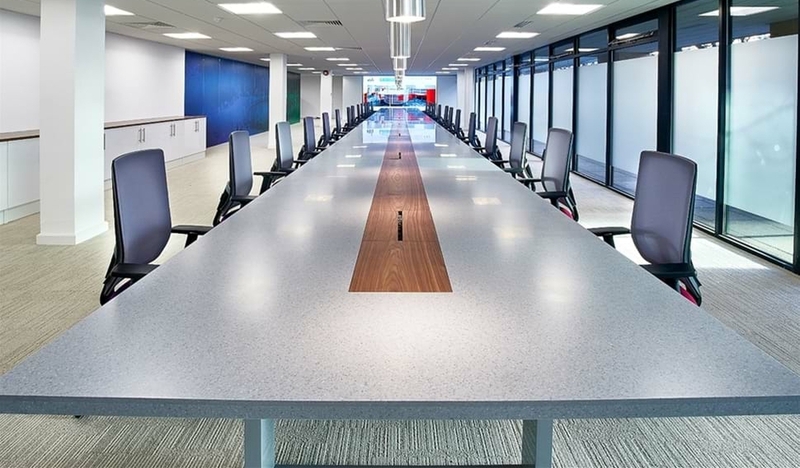 Then choose from a wide selection of high quality premium materials including MFC, Laminate, sleek Glass and Veneer, Corian, modern and minimalist Concrete, Quartz Composite, and stunning Natural Stone. 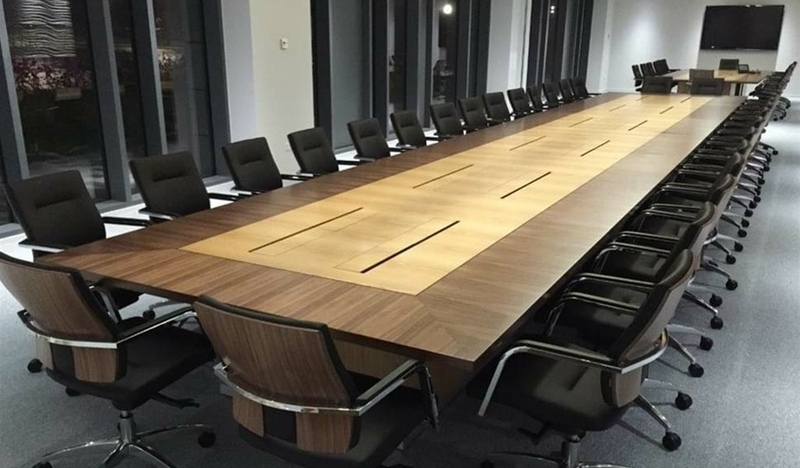 If you need to add the ideal finishing touch to your boardroom environment, why not give one of our bespoke furniture consultants a call right now on 0800 612 4174 to discuss your individual requirements. Or, if you prefer, send us an email at info@bespokeboardroomfurniture.co.uk and one of our boardroom furniture experts will get back to you as soon as possible. With over 25 year’s specialist experience creating beautiful Office Furniture and Interior solutions, there’s nobody in a better position than us to create the perfect custom solution for your boardroom. 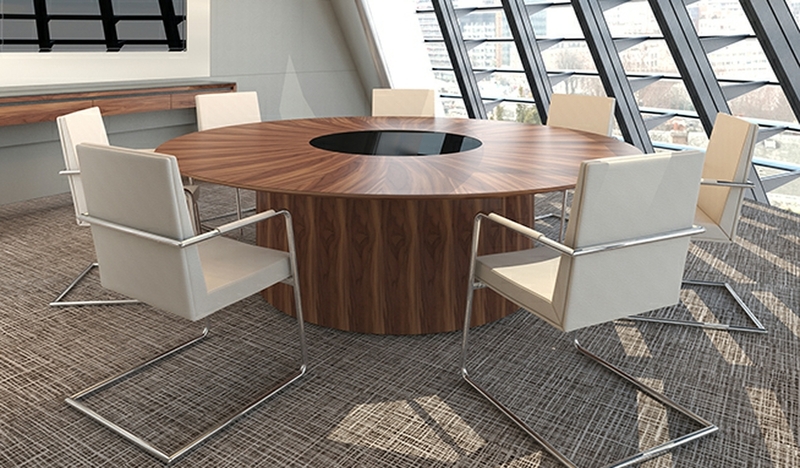 Our core aim is simple – to produce bespoke boardroom furniture of unrivalled quality and unsurpassed functionality. Specialising in producing stunning, custom, handmade boardroom furniture that always sets the right tone, it’s no wonder we’re the preferred furniture supplier for companies throughout the London, Essex, Hertfordshire, Kent, Surrey, Cambridge, and Hampshire areas. 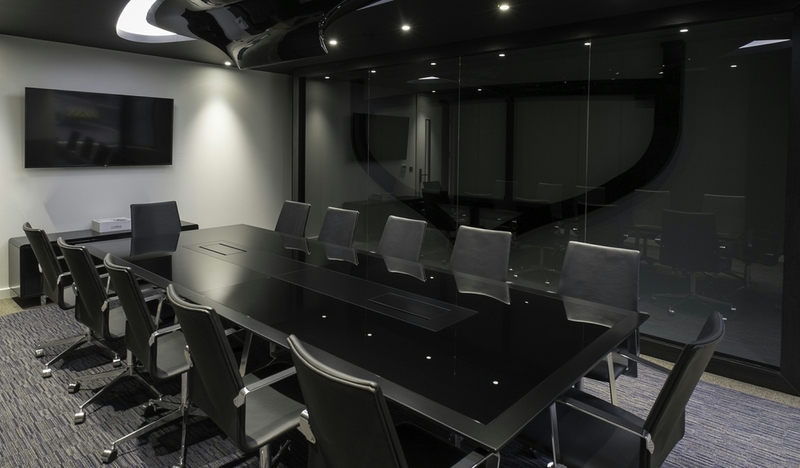 Our savvy design experts constantly monitor the latest trends and developments in design and manufacture, ensuring we always deliver the most innovative solutions to you, our valued customers. Working in partnership with a handful of carefully selected manufacturing partners, selected for their expertise, we produce beautiful and totally unique handmade boardroom furniture, designed to enhance the corporate environment. 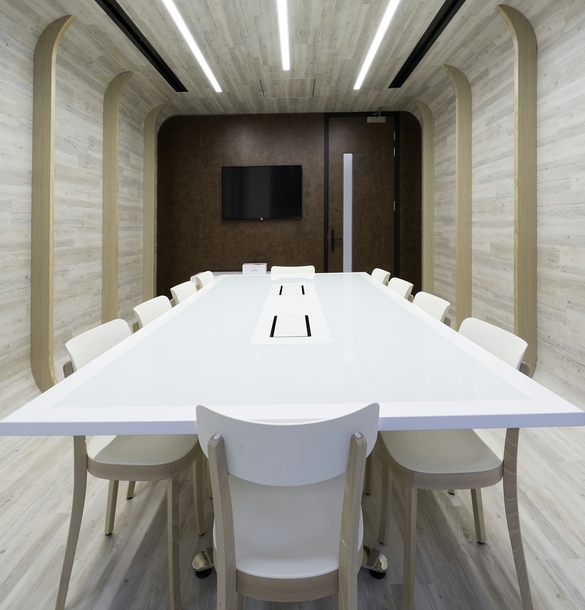 Whatever you need, with our comprehensive solutions that cover everything, from planning and design, to supply and installation - we can provide it. Whether you one of our stunning Bespoke Boardroom Tables, or require a Boardroom Storage Wall, Boardroom Credenza, Media Wall, Folding Wall – all you need to do is let us know – we’ll take care of all the rest. 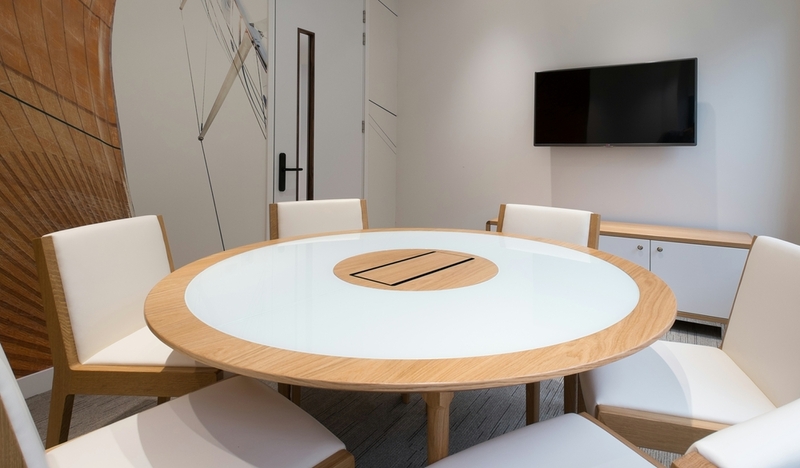 If you’re currently looking to improve the ambience of your boardroom, and want to find out more about our bespoke furniture solutions, just give one of our design consultants a call on 0800 612 4174. 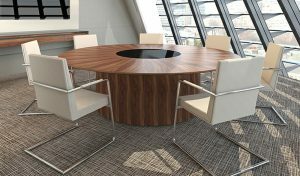 Alternatively, send us an email at info@bespokeboardroomfurniture.co.uk with a brief outline of your requirements and we’ll respond to your query as soon we possibly can. 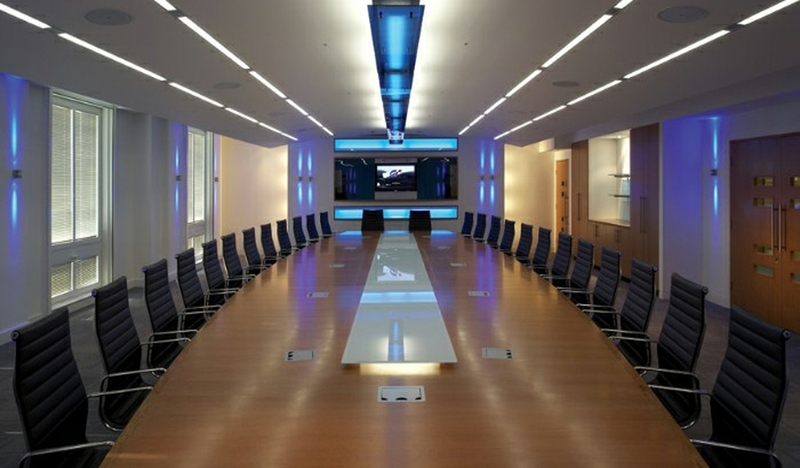 No matter your budget, with us, you’re always guaranteed a perfect, custom made solution for your Boardroom. 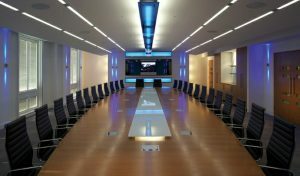 One of the most pivotal places in the whole corporate environment, it’s crucial to strike the right note in the Boardroom, and with our attractive and unique Bespoke Boardroom Tables, you’ll set the tone perfectly – every time. 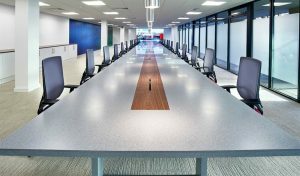 Select from a variety of styles, colours, and options to customize your Boardroom Table, then choose from an array of high quality materials, including functional MFC or Laminate, sleek Glass and Veneer, eye-catching Corian, minimalist Concrete, beautiful Quartz Composite, and breathtaking Natural Stone.